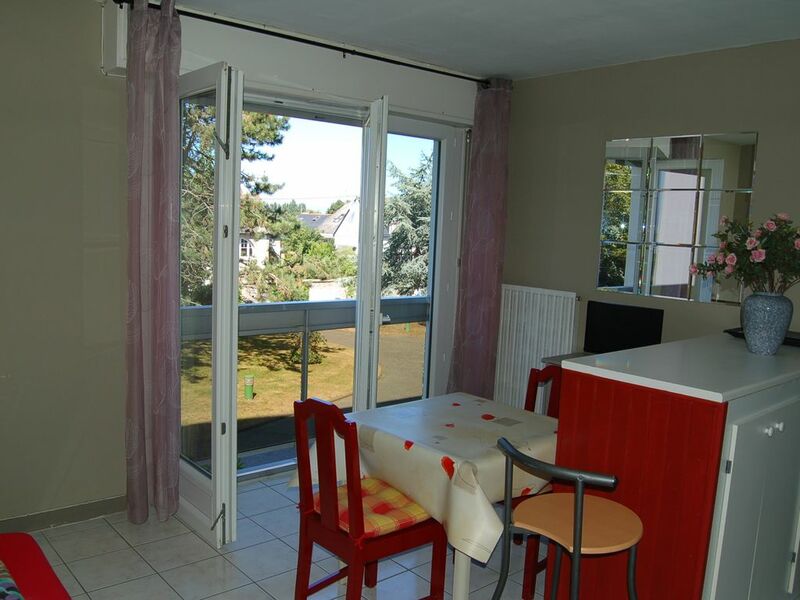 rental studio holiday at the sea Saint-Malo 25m2 1st floor / 4 lift-2 people-view of park, private parking in residence, 1 km from the sea, 0. 5km shops, 70 km Rennes. 1 km downtown. Southwest orientation. 1bathroom-1WC-1 slatted sofa bed 2 places-kitchenette, dining room. Equipment: crockery and cutlery, kitchen utensils, refrigerator, oven, hob, microwave, vacuum cleaner, ironing board. Guardian. Activities: Golf, tennis, fishing, horse riding, swimming, bowling, water sports, diving, sailing, hiking, mountain biking, windsurfing, surfing ... Small pets allowed. Rent from Saturday to Saturday preferably. 5 minutes from the aquarium and intramural and nearby beaches.